I don’t want to go to “techie” on you, but there are two aspects to consider when figuring out how to increase energy efficiency. One is the R-Value which refers to the shade’s ability to shield the cold air from coming in. A higher R-Value indicates a more robust insulating shade to keep your energy bills low. A good R-Value varies from 4.76 to 4.55. Solar Heat Gain Efficiency (SHGC) is the other factor, which is a measure of how much solar energy enters into your home. SHGC is expressed as a number between 0 and 1. This is a tricky number. 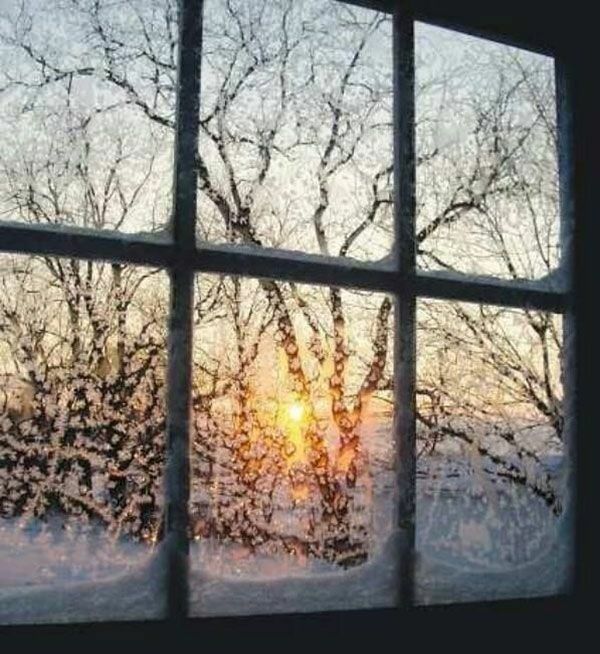 To keep your house warm in the winter and especially in northern climates, a higher SHGC is preferred so the sun’s energy can be used for heating. A number 0.15 to 0.19 is desired, but for homes in warmer areas, a lower number is better, from 0.12 to 0.10 to reduce unwanted heat buildup. 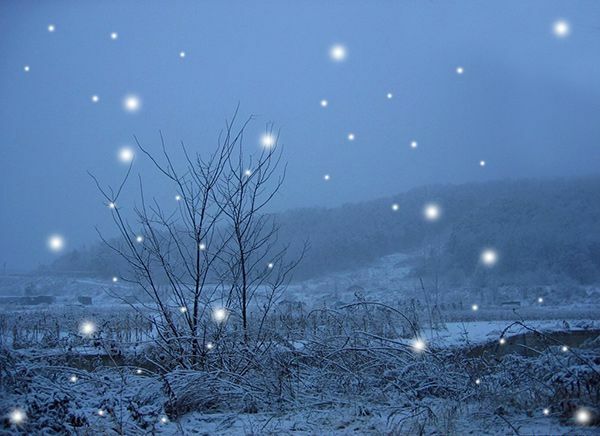 You will need to manage how this affects your desired home comfort coupled with the weather. However, both the R-value and the SHGC need to be balanced to lower your energy bill as much as possible to maximize the efficiency of any particular cellular shade. But don’t let all this mumbo jumbo science dissuade you from maintaining a warm home. All you really need to know is that cellular shades can deliver up to a 22% reduction in heat transfer during the winter months. Every cell shade has varying amounts of protection, so if you are serious about energy efficiency, do your homework. Investigate how the above two elements, along with the type of window (hopefully double pane), plus your choice of window covering will be energy efficient. 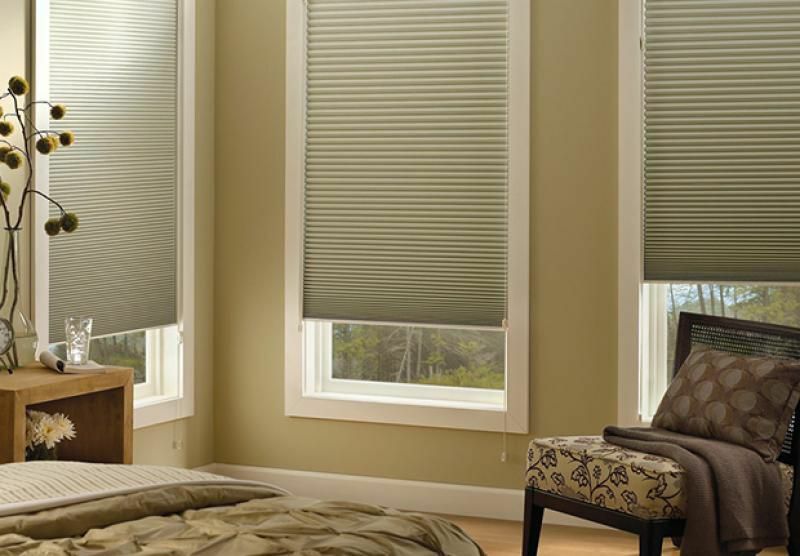 No matter what, a cellular shade can be a snug down comforter for your windows. 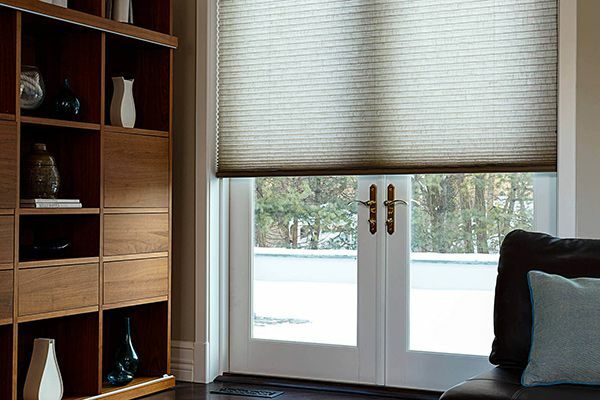 Cellular shades have earned their stellar reputation for a sleek minimal look, for our custom sizes from long and skinny to arches to skylights to patio doors, vibrant color or muted shades, and even lively intricate patterns. But as the season reveals its winter face, cellular shades can really reduce your energy bills which is a present that keeps on giving!